I'm a summer baby. I live for the summer. It's as if I came into the world, felt the sunshine on my paper skin, and decided that the world was only right during the summer season. And so you can imagine that I get pretty excited once June turns up, and with it the sun, and I get to thinking about the things I want to do before Autumn draws near and drowns me in melancholy. I'm a laugh a minute, me! This week I noted a few things down in my notebook that I would love to do before the summer is through and I'm sharing those little scribblings with you today because I would also quite like to know what everyone else has planned! I don't get out much. I'm not usually one to make a big deal out of my birthday but after spending last year's birthday in hospital and having impending hospital stuff over the summer I've decided to go all out. 'Go all out' in a Bee sense just basically means grabbing some family and friends and going for a meal in the countryside to mark turning 24. It'll still be a small affair but it'll give me something to think about. I suppose I should get a move on with the planning - 3rd July will soon creep up on me. I was lamenting the fact that my surgery might stop me going on our pre-planned glamping trip. However, my surgeon seems to think I'll be able to go what with the NHS waiting times being what they are so I'm going to start planning for that as soon as possible. We're staying in one of those pod things so that should be pretty interesting as I'm used to UK holidays in a cramped caravan. If you've got any recommendations for great beaches to visit, food to eat or things to do within driving distance from Tavistock in Devon then do let me know. I've been slowly working away at my first poetry chapbook, entitled Panacea, and by the end of the summer I want to have at least half of it completed. I've been working on some new poems over the past few days - drawing from home and my relationships to spark the beginnings of new ideas. We will see where those go! I really want to make good progress with this across the Summer months. If you're in the same sort of boat as me with a creative project, I wrote a post on how to get rid of creative anxiety during the writing process not so long ago that may help! At the start of the year I did a big clear out and managed to sell on a lot of stuff. After around a month of selling things on, I got a bit lethargic with it all. However, I've still got lots to shift so I'm going to get back on it as it were. I've also got lots of stuff to bag up and donate to the many charity shops in my hometown so I should probably make a start on that too. I lead a glamorous life, pals. Try not to get too jealous. We've had our BBQ for a year now and I would loooove to branch out and cook some fish on it for the first time. 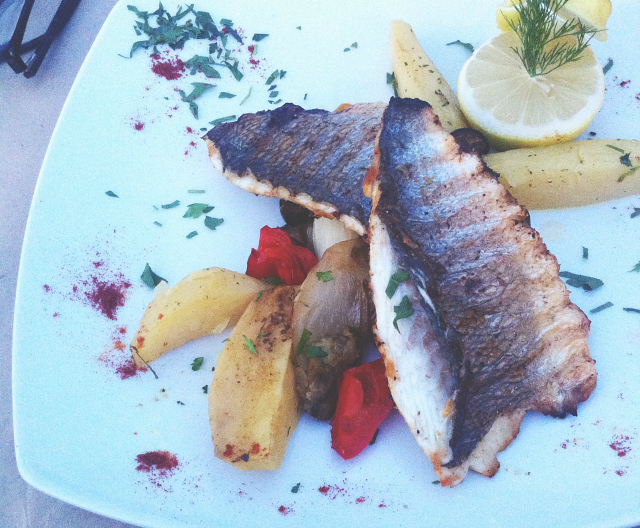 I cannot get enough of fish during the summer months - particularly if I'm abroad. If you've got any BBQ fish recipes, be it grilling the fish or throwing it into a neat little foil parcel with an array of things, share the wealth! I am currently around 6 books behind schedule with my Goodreads challenge and I would absolutely love to catch up with it. I think I'll devise my own little readathon because they tend to get me reading more than usual. The Booktubeathon will soon be back too so that'll give me another boost! I'm not sure what book I want to pick up next. Any ideas? Aaaand that's about it for now! I want to try and enjoy this summer and not let it be punctuated by illness- related things, even though they're obviously going to play a part in it, so lets hope this list gives me lots of inspiration! What's on your summer to do list? Scroll through my many listography posts. Great goals! Hope you have a great birthday! I would love to go Glamping, hopefully at some point I will haha. Planning birthday celebrations always gets me excited, and a meal in the countryside sounds so lush, I hope you have a lovely time! And I hope you have a wonderful Glamping trip too - I was going to suggest some Devon places but they're all for Braunton (which is over an hours drive away). If you get the chance, definitely stop off there though! Yes! I so want to go glamping - so much fun! I'm a summer baby as well and I am at home in the summer sun.